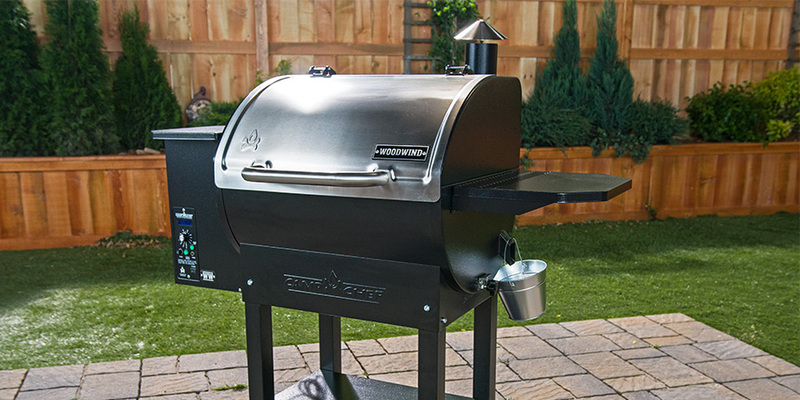 If you’ve got yourself a pellet grill, you’re probably enjoying a steady stream of incredible food, whether it’s fresh baked pizza or smoked brisket. But with each cookout, your grill collects a little more grease and ash. To keep your “grillfriend” at its best, ready to cook all your favorite foods, follow our cleaning guide below. For quick cleanup between cookouts, you don’t need to do anything too dramatic. In fact, our patented Ash Cleanout system makes it as simple as pulling a knob. Before you fire up the grill each time, just empty the ash into the cup, and you’re good to go. It’s almost too easy. Besides emptying the burn cup, you may want to spot clean between cook sessions as well. This can be as simple as wiping away grease spots or food residue on the lid or side shelf. You should also scrape down the grill grates with a wire grill brush or spatula before you start cooking to avoid a burnt taste on your food. If you take these small steps toward keeping your pellet grill clean, any deeper cleaning you do will be much easier. You should give your grillfriend a deep clean roughly every 50 hours of cooking. So if you don’t cook on your pellet grill very often (you should fix that), you may only need to deep clean your grill once every several months. If you’re a pellet head like we are at Camp Chef, you’ll find yourself doing this routine more often. Luckily, it’s quite simple. Safety first! Make sure your grill is totally cool, then unplug it from its power source. 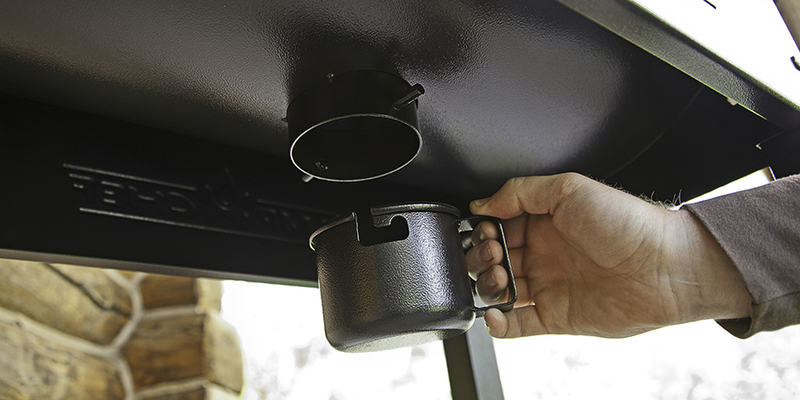 Empty the pellet hopper to prevent your pellets from getting wet or coming into contact with cleaning substances. Let the cleaner sit for about 30 seconds to give it a chance to break down grease and smoke stains. Wipe off the cleaner with a clean paper towel or rag. Wipe with the grain if you’re cleaning stainless steel or in circles if you’re cleaning a painted surface. Repeat the process once more to clean off any remaining grease or smoke. Rinse thoroughly if you used soapy water. Allow to dry for at least 24 hours before cooking, and double check that the hopper has no water in it before reloading pellets. Pull the Ash Cleanout knob and empty the ash from the burn cup. 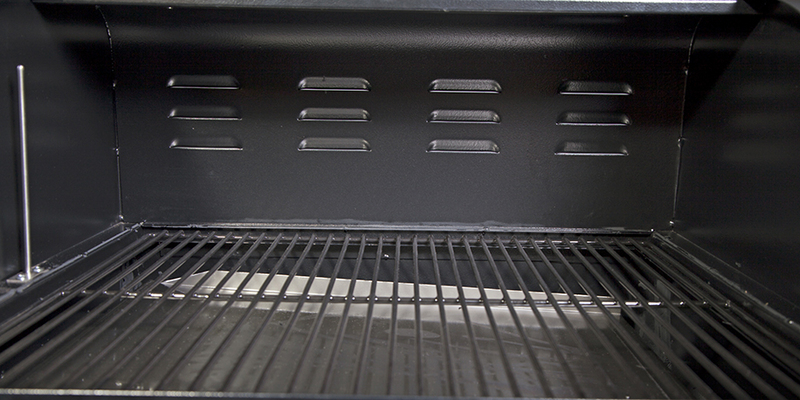 Open the lid and remove the cooking grate, any extra racks, drip tray, and heat diffuser plate from inside the grill. Pay attention to how these pieces are installed (or even take a picture) so you’ll have an easier time reassembling your grill. Use a wet/dry vacuum with a hose attachment to remove loose ash and debris. Look for places inside your grill where grease has built up. Use something with a flat edge (a paint stick, pan scraper, etc.) to dislodge and remove it. Use hot, soapy water and a rag you aren’t attached to wash the interior of your grill, as well as each piece you pulled out. Repeat the process until most of the grease buildup is gone. Rinse thoroughly, and allow everything to dry. Cover the heat diffuser plate and drip tray with aluminum foil for easier cleaning next time (you can simply throw away and replace the foil rather than scrubbing off the grease). Dedicating a bit of time to cleaning out your pellet grill, both between cooks and a couple of times a year, will keep the good food coming for years. When you love your grillfriend, it will love you back. Let us know if you have any pro cleaning tips in the comments below! Is there an easier way to empty the hopper when cleaning or changing to different flavor pellets? Seems there should be an easier way than unscrewing parts, etc. Emptying the pellet hopper is super easy. You’ll find a knob and spout on the backside of the hopper. Set a bucket underneath the spout, pull the knob, and the pellets will come pouring out of your hopper. This makes it easy to change flavors whenever you want or preserve your pellets during cleaning. This KEY info should be in the instructions. These cookers are to expense for it not to be – no debate. Didn’t find the knob and spout on the backside of the hopper to make emptying it easy. I have the PG24SE-3 model. Used it for the first time and loved it so much. The food taste was incredible! Now wondering what parts are most likely to need replacing after time. Don’t want to plan a big cook out and find that it won’t light or the fan doesn’t work, etc. Is the Camp Chef website the recommended place for replacement parts? Oh, sorry about that! Our PG24SE doesn’t have the hopper clean-out feature. You can remove the grate inside the hopper and scoop out the pellets that way. As for the replacement parts, we stand by the quality of our products. With your new grill, you have a 1-year no-hassle warranty. If you run into any problems, just contact our customer service team, and they will take care of you. For the future, there isn’t one part that consistently needs to be replaced more often than any of the others. We recommend buying parts as you need them. Our customer service can also help you find what you need with that. OK get the scoop out part, wish we had known about the knob and spout feature before purchasing, but we didn’t and have the same grill a person above. Now my question is what to do with pellets in the auger section…after we have removed from the hopper, do we run them through on feed until empty? We just got our grill and very excited about it. I have the PG24SE, I have a small shop vac, cleaned it out and it works great getting the pellets out. You should never empty your ash cup in the middle of a cook. As long as you empty the cup before you start your 12-hour cook, you should be good to go without worrying about building up too much ash in your grill. Hi Greg! We actually just received more in stock today. Check back with us in a day or two to order one. Or you can contact our customer support team and they can help you find the shelf you need.